Biospeleology, the study of organisms that live in caves, has a tremendous potential to inform many aspects of modern biology; yet this area of knowledge remains largely anchored in neo-Lamarckian views of the natural world in both its approaches and jargon. 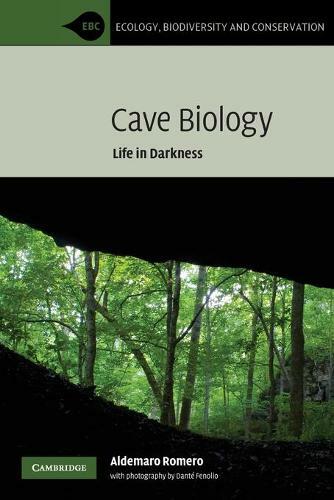 Written for graduate students and academic researchers, this book provides a critical examination of current knowledge and ideas on cave biology, with emphasis on evolution, ecology, and conservation. Aldemaro Romero provides a historical analysis of ideas that have influenced biospeleology, discusses evolutionary phenomena in caves, from cave colonization to phenotypic and genotypic changes, and integrates concepts and knowledge from diverse biological viewpoints. He challenges the conventional wisdom regarding the biology of caves, and highlights urgent questions that should be addressed in order to get a better and more complete understanding of caves as ecosystems.